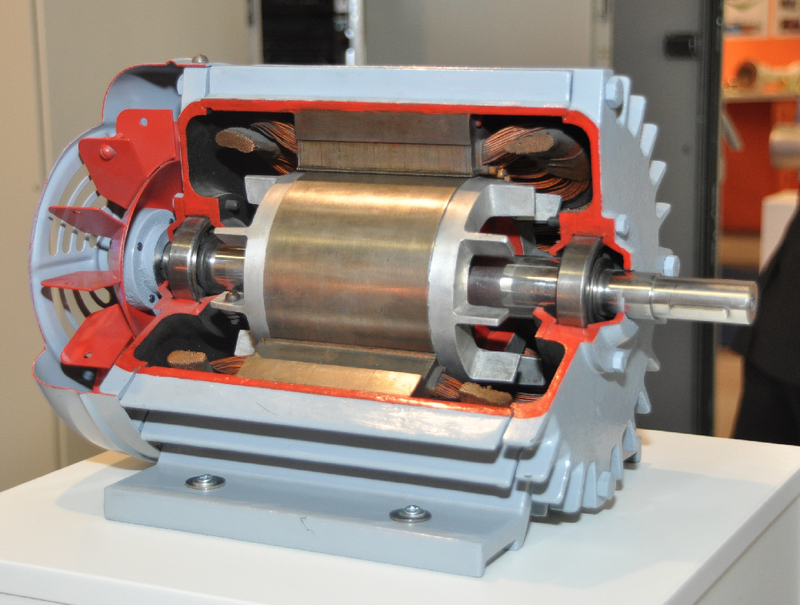 Electric motors have been around since Thomas Davenport built the first functional model in 1834, and they have played a growing part in our lives ever since. Today, they continue to replace diesel and gas engines, as well as hydraulic cylinders, while evolving into new designs optimized for robots and other technologies. The ongoing transition from gas to electric is primarily driven by the need for more efficient devices that run with cleaner energy sources. Yet, electric motors also tend to be more responsive, and are more adaptable to new applications, especially in smaller devices. Even excluding the separate field of MEMS (micro-electromechanical systems), which Kirtley is not directly involved in, electric motors are now shrinking to as small as the 1 W devices found in cell phones. A variety of innovative new compact motors are being developed all over MIT, says Kirtley, who points to an interesting variable reluctance motor for a prosthetic foot being designed at MIT’s Center for Art, Science and Technology. Kirtley’s early involvement with power-plant generators led him to study electric power systems. His research into the subject culminated in 2010 with his Wiley-published book, “Electric Power Principles.” Lately, he’s been focusing on the customer-end of the system, where he is finding a role for electric motors in helping distribution systems adapt to intermittent, user-generated solar power. Utilities are now working on smart microgrids that can adapt to distributed, multidirectional power. The greater flexibility is primarily enabled by smarter electronics, as well as efficient, distributed battery storage. Yet, microgrids still have a problem with even brief power outages, which can sometimes cause them to shut down. Many of the recent innovations in electric motors are found in robotics, which need smarter motors that can reliably deliver variable levels of power on demand for short periods. Electric motors can provide mobile robots with significantly longer battery life compared to traditional hydraulic systems. “Hydraulics are controlled primarily through throttle valves, so a lot of energy is wasted pumping and controlling the hydraulic fluid,” says Kirtley. Kirtley has been working with Professor Jeffrey Lang on developing customized electric motors for Department of Mechanical Engineering colleague Sangbae Kim’s robotic cheetah, a running, jumping quadruped that has gained widespread publicity in recent years. The cheetah’s new motor is not only more efficient, but also more powerful, although only in short intervals. Most commercial ships still use diesel engines, while many naval vessels use gas turbine engines. Yet shipping is quickly moving toward electric propulsion, motivated primarily by efficiency, says Kirtley. Aside from nuclear-powered vessels, these tend to be hybrid systems in which diesel or gas generators drive an electric motor. In the past, Kirtley has consulted with Tesla Motors on its electric cars, and both agree that “the induction motor is the best for electric automobiles,” says Kirtley. Many other electric car manufacturers are still using permanent magnet motors, which he says are intrinsically less efficient in the wide speed and torque range required by car propulsion.